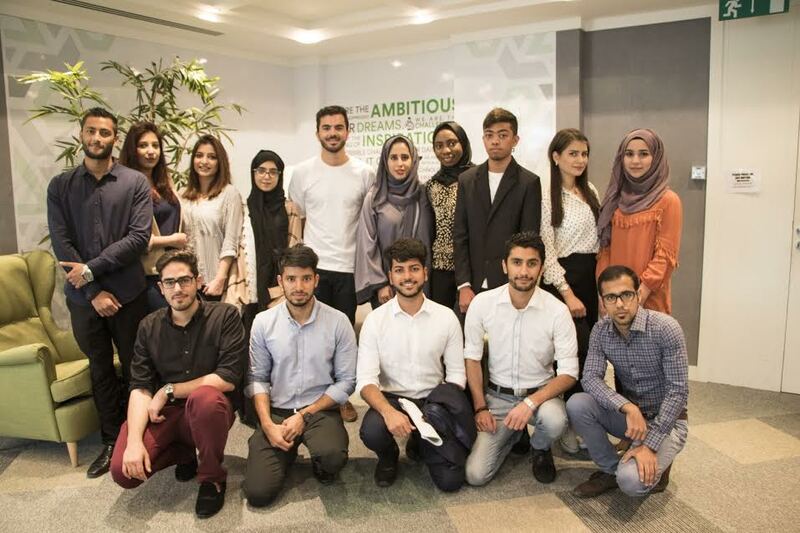 Sharjah, United Arab Emirates: Sheraa – a launch pad for aspiring young entrepreneurs in the United Arab Emirates – recently collaborated with Careem to challenge the students’ ability to develop a detailed marketing plan that would enable the start-up to cater effectively to and attract the Emirati population. The marketing challenge presented students with an opportunity to complete a 3-month internship program at the company headquarters, and implement their winning idea. The marketing challenge attracted applications from over twenty-five teams. In the preliminary round ten teams were chosen, of which five teams were shortlisted for the final round. Careem awarded the final winners of the challenge – Huda al Ali, Aisha Usman and Abdullah Malek, credits worth AED 10,000. The winning team was also awarded AED 10,000 cash reward for successfully implementing their marketing plan. “As the fastest growing company in the region, Careem is in a unique position to offer a Silicon Valley-like start up experience right here in the UAE. Our cooperation with Sheraa for the marketing challenge and our summer internship program was an important step towards achieving our mission of building an institution that inspires. The interns brought a new perspective to our marketing strategy and we are proud to see them grow and develop their skills with us”, said Aura Lunde, General Manager – Careem UAE. Sheraa is a valuable component of the UAE’s growing ecosystem. Sheraa’s initiatives, which help sustain and grow new businesses, are important especially as self-employment among the region’s youth gains popularity. Sheraa (Sharjah Entrepreneurship Center) was launched in January 2016, under the patronage of Sheikha Bodour bint Sultan bin Muhammad Al Qasimi – Chairperson of the Sharjah Investment and Development Authority (Shurooq) – to provide a launch pad for aspiring young entrepreneurs in the UAE. Sheraa’s state-of-the-art co-working facility is housed at the American University of Sharjah, and hosts a thriving community of students and ambitious entrepreneurs. Sheraa – ‘Sail’ in Arabic – inspires youth to pursue their entrepreneurial dreams, and empowers them to navigate through the processes of launching a business, transforming them from job seekers to job creators in the United Arab Emirates and the wider region. It runs the country’s first university-based ‘accelerator’ program, offering a mentorship-driven, three-month entrepreneurship boot camp to support teams that demonstrate entrepreneurial spirit and courage. The hands-on accelerator also provides seed-funding and strategic mentorship by industry professionals, and a suite of other competitive benefits. Also amongst its initiatives is an ‘academy’ that equips students with 21st century industry skills to bridge the skills gap. Sheraa’s first accelerator cycle is planned for October 2016, while the 650 square meter facility is due for launch in the same month. CAREEM is the region’s leading app-based car service that makes ordering chauffeur-driven cars reliable, safe, convenient, and affordable. Its customers can book a car on the CAREEM apps and website, or by calling a call center. CAREEM is a pioneering company in the region’s nascent ‘sharing economy’ – its mission is to make people’s lives simpler by revolutionizing the transportation and logistics industry in the region. Established in July 2012, CAREEM operates across 30 cities in the Middle East North Africa (MENA) region: Abu Dhabi, AlAhsa, Alexandria, AlKhobar, AlMadinah AlMonawara, AlQasseem, Amman, Beirut, Cairo, Casablanca, Dammam, Dhahran, Doha, Dubai, Jeddah, Jubail, Karachi, Kuwait, Lahore, Makkah AlMukarramah, Manama, Rabat, Riyadh, Sahel and Sharjah.